Falmouth is a working port which is still involved with shipbuilding and repairs although not on the scale that it used to be. Situated in the Western Approaches to Britain, Falmouth has been an important port of call for shipping for a many years. 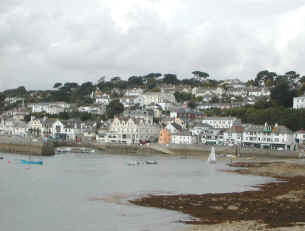 Falmouth claims that it is the gateway to the world's third largest natural harbour - know as the Carrick Roads. There is certainly plenty of water and coastline to explore in the area and spectacular coastal scenery. Falmouth was the location of the packet boats established in 1688 by the Royal Mail which took the mail to America. It is still a busy port with a mixture of merchant vessels, recreational yachts and fishing boats using the port on a regular basis. Within the Falmouth area there are four sandy beach to look out for - these are Gyllyngvase, Castle, Swanpool and Maenporth. An ideal area for sunbathing, swimming, sailing and sandcastles! 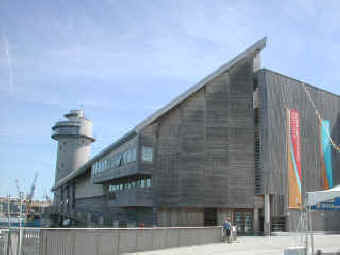 Look out for The National Maritime Museum which is based in Falmouth and hosts an impressive collection of ships and boats. Also nearby is Pendennis Castle built as part of our coastal defences by Henry VIII in 1539. The castle was besieged for six months during the English Civil War when Cromwell's men arrived. The royalist eventually surrendered leaving the castle intact. Penryn lies inland from Falmouth but the two towns are con-joined and form part of the same urban area. Penryn has a good range of local and branded shops. St Mawes is a small fishing village that lies opposite Falmouth on the other side of the Carrick Roads, the wide expanse of water that forms the main anchorage for Falmouth. The village can be reached by travelling down the A3078 which spurs off of the main Truro to St Austell road, the A 390. The surrounding area is known as the Roseland Peninsular and the road twists and turns through the luxuriant countryside to end at the pretty village of St Mawes. The whole of the wide bay in front of the village is ideal territory for sailing and in the summer months there are many sailing craft to be seen in the bay. A passenger ferry connects with Falmouth and runs frequently during the summer months but less so in the winter months. 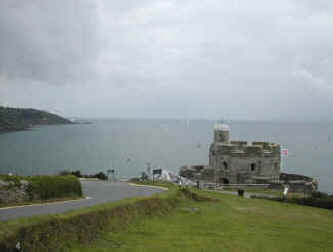 There is a small castle at the end of the village, over looking the sea, this once formed part of the defences of the main anchorage at Falmouth and is now maintained by English Heritage - it is open to the public, check for times - 01326 270526. If you travel from St Mawes back to Falmouth there is a quicker route than the A3078, this via the B3289 which takes you to the King Harry ferry. This is a chain ferry which takes vehicles up to 14 meters in length. No coaches allowed. 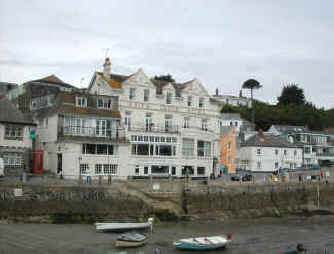 Other places to visit nearby are St. Just-in-Roseland, St Mawes Castle, the Helford estuary and the Lizard Peninsular.